It’s so close to the holiday I can almost taste it. SO CLOSE GUYS. I’m not even doing anything particularly exciting but sometime you just need a break, ya know? Also, I’m going through a potato phase at the mo. I mean, it is autumn right now which means COMFORT FOOD, so that kinda explains it I guess. I’ve literally been sneaking potatoes into anything and everything. Roast sweet potato salads, potatoes in miso soup, roasting potatoes as a snack – the list could go on forever to be honest! And don’t know if you can tell (you can totally tell) but I got super into photographing the rosemary – it’s just so gorgeous! 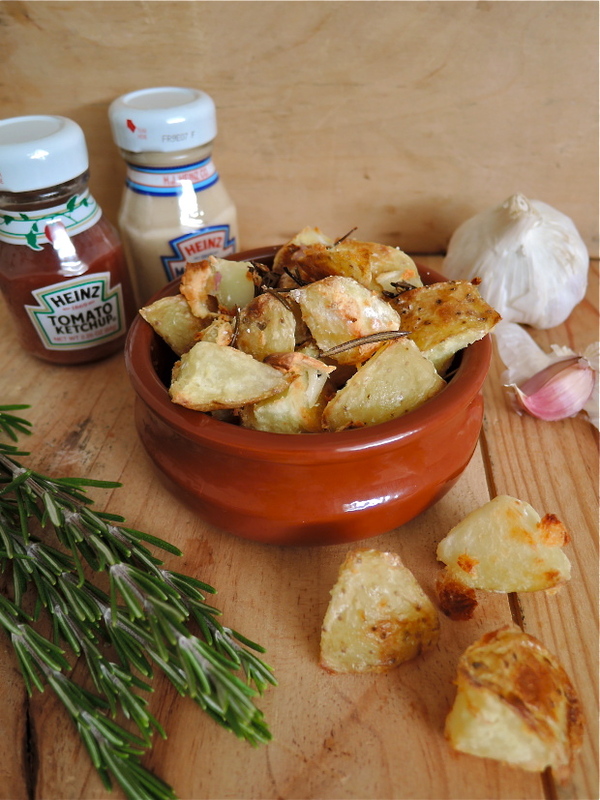 This is such a great side dish – crispy roast potatoes with a fluffy interior are perfect for the colder months when you are craving something warm and comforting. Feel free to omit the rosemary and garlic, but I adore the flavour it gives! Preheat your oven to 190ºC and cover tray with olive oil, then put in oven. Cut the potato into chunks and boil for about 15 minutes until soft. Add cornstarch, garlic and rosemary and mix together. Place in pan and put in oven for 15-20 minutes until they are brown on one side. Flip them around and place in oven for another 10 minutes. Serve straight away with a sprinkling of salt. I know – its gone way too quickly!! 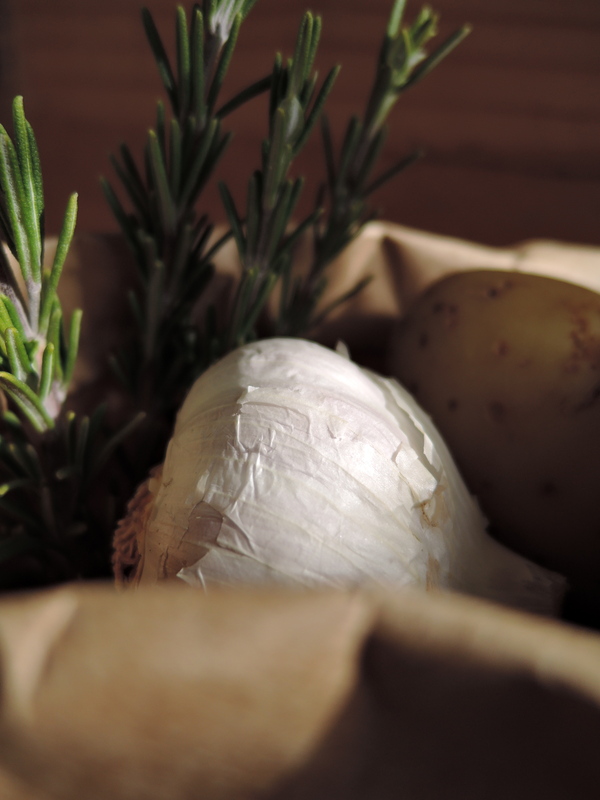 Garlic + Rosemary + Potatoes = a heavenly dish for me! I love that combination and these look delicious! Thanks Amy! This is total comfort food for me!! 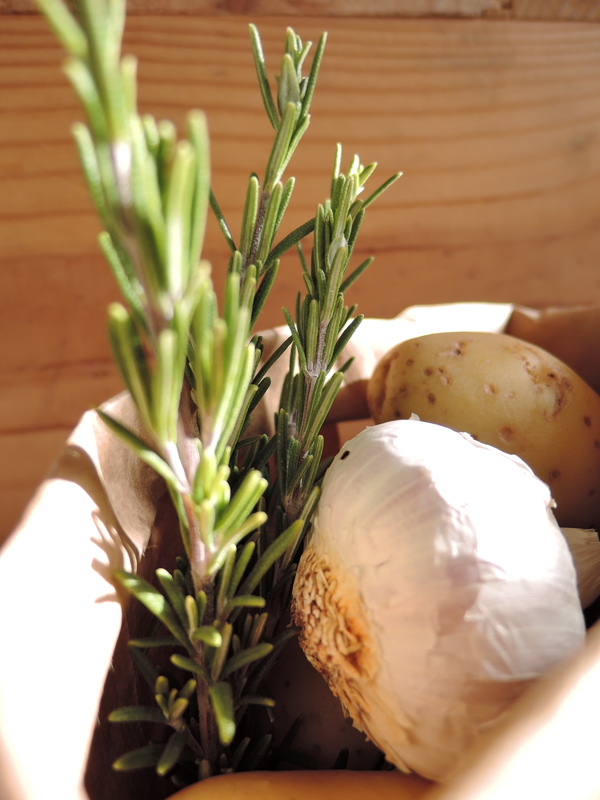 Garlic and rosemary potatoes are one of my favourite things about sunday dinner! Aren’t they the best?! Thanks Laura! thick and crispy, just the way I like them! Yum, these look extra crispy!!! 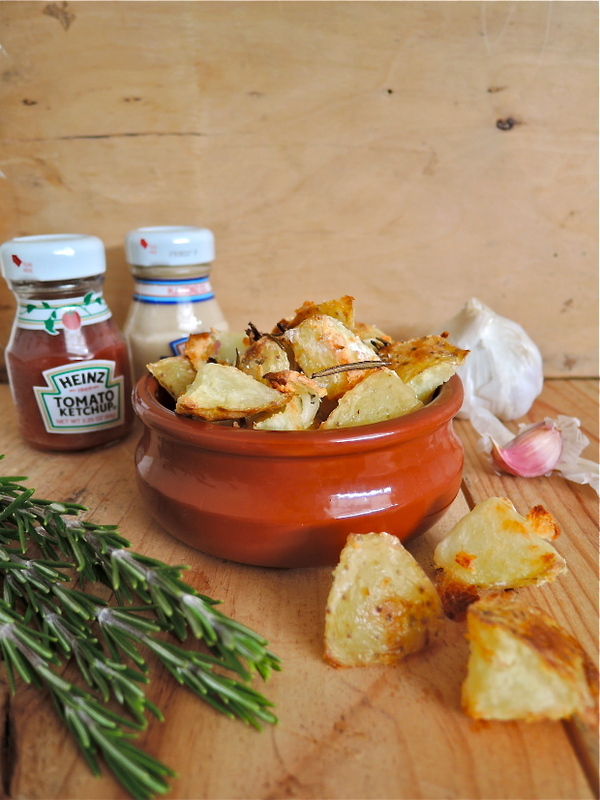 Baked potatoes + herbs is ALWAYS a good choice. 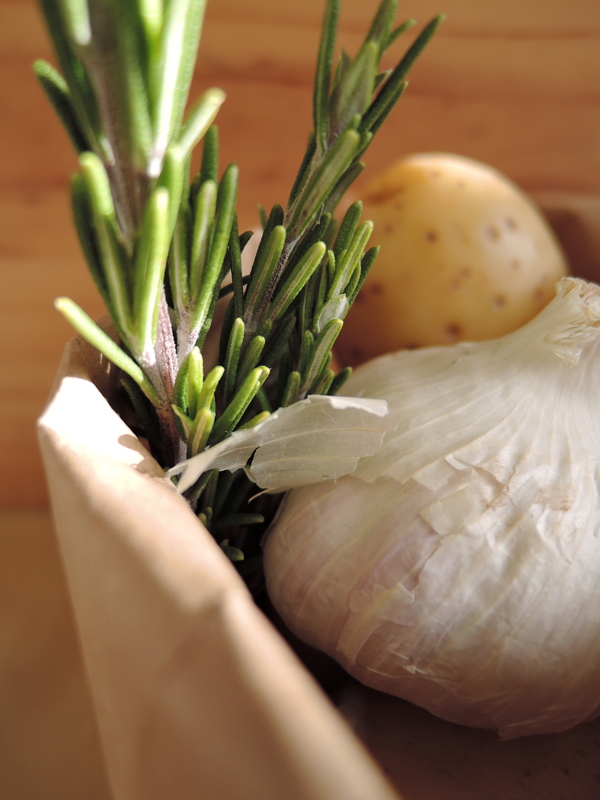 Rosemary is lovely, both to eat and to photograph! And these potatoes look wonderful! Couldn’t agree more! Thanks Monet! One of the best combinations. Your photography is beautiful, I am instantly hungry!